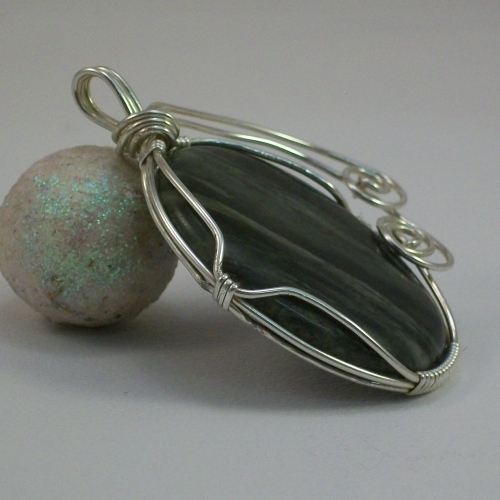 Large wire wrapped moss agate bead, with lovely green/grey stripes. 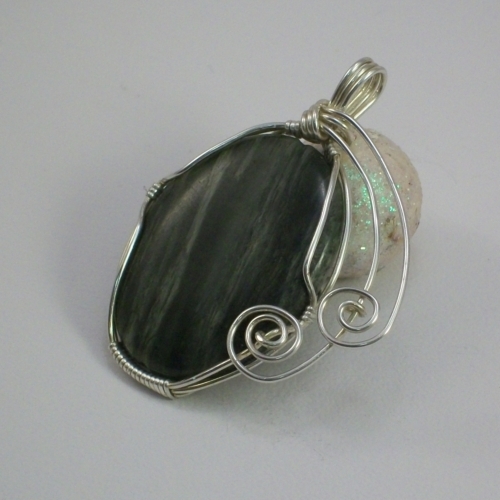 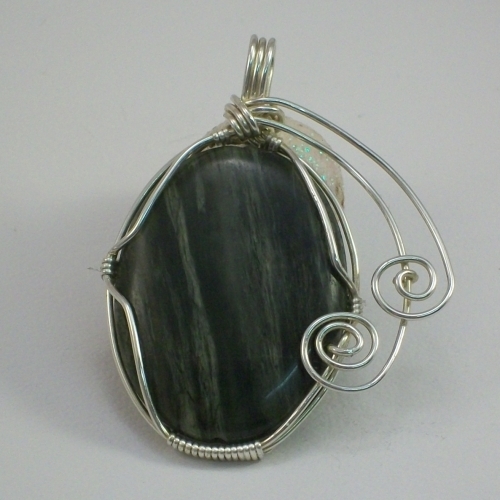 Wrapped in silver plated wire, this smooth stone makes an eye catching pendant with its spiral accents. 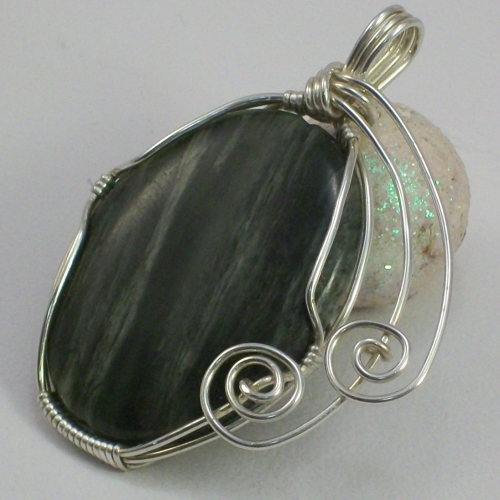 Pendant is 6cm drop x 4.5cm wide.